The old saying "a picture is worth a thousand words" may be true, but who has time these days for a thousand words? In today’s business culture, potential customers are flooded with visual images and we’re lucky if we can grab their attention for just a couple of seconds. But believe me, those seconds are crucial when it comes to customer engagement. If we can share with them something that creates a lasting impression, we’re already halfway there. The question is, how we can take it from halfway to all the way? Think about the last time you saw an image that really stuck with you: I’m betting it wasn’t a stock photo of an attractive person receiving a soothing facial, which spa businesses (including mine) use all the time. There’s nothing wrong, of course, with stock photos like these, but they’re best used as a visual complement to really engaging text. When your message is focused on visual engagement rather than text, though, you’ll want to provide an image or video that evokes emotion from the viewer. An example would be sharing before- and after-photos of a teenager whose skin was initially covered in acne and is now clear and smooth. In the before picture, you can tell she’s feeling embarrassed; in the after picture, she’s happy and confident. Images like these work across multiple demographics because even if someone didn’t suffer from teenage acne, we can all identify with the emotional pain of not feeling good about the way we look from time to time, especially as an adolescent. Even for businesses that have earned a trustworthy reputation in their communities, when they distribute mass marketing information—whether by e-mail, social media, print or television advertising—viewers can’t help thinking, "what are they trying to sell me this time?" They also wonder, "are they for real, or just trying to make a buck off of me?" When it comes to marketing, adults are programmed to be a bit dubious, even though we’re often willing to overlook marketing ploys when they involve a significant cost savings for us. That’s why crowd-sourced review sites including Yelp and Citysearch have become so popular. There is something to be said about third-party credibility, especially when those sources a) include visuals (photos and videos snapped on a customer’s smart phone) and b) are not being paid by the advertiser. There are many opportunities to incorporate third-party testimonials into your constant flow of marketing. When a customer is raving about your services as she’s standing at the check-out counter, train your staff to ask her if she’d be willing to share her experience on social media. Better yet, you’ll have already taken some “before” pictures of her and can begin documenting her transformation with future pictures after each of her treatments, which you’ll post with her permission on your own social media and website. You can also send a client a Facebook message or e-mail after her treatment, asking how her services went. If her comments are especially positive, kindly request a written and/or video testimonial from her. Business experts agree that having a presence on social media is essential to staying in front of the modern customer, but having a presence isn’t enough. You need to be consistent in your posts as well as your replies, both positive and negative. This lets viewers know you’ll quickly respond to them, and that you care about what they have to say. When a customer posts a positive review, share it! If she or he sends you an e-mail, thanking you for making a difference in his or her life, take a screen shot and share that, too! When customers see an actual name or face attached to a positive testimonial, it reassures them that this is not just another marketing attempt but an actual human being who thinks you offer something special, and who wants to tell the world how great you are. Of course, always ask for permission before sharing anyone’s posts or personal information. With images and testimonials, creating a constant flow of communication with your customers is both easy and effective. You’ll stay ahead of the competition and hopefully, have fun in the process. 1. Use emotions. Always factor in emotions when sharing information. If something touches your heart, makes you laugh or cry, catches your eye, or even shocks you—chances are it will have the same effect on your customers/viewers. 2. Find testimonials. Potential testimonials are everywhere around you, and they’re free! Don’t wait for someone to hand you a compliment; ask for honest feedback from every, single customer. If it’s positive, share it. If it’s negative, fix it. 3. Schedule social. Create a schedule for social media posts, e-mail blasts, and any other type of marketing and stick to it. A “constant flow” demands an eye for detail and consistency. 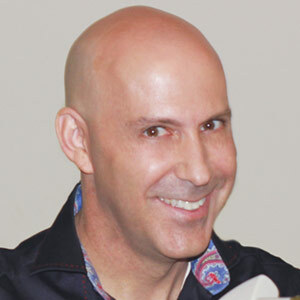 Louis “The Laser Guy” Silberman is CEO of National Laser Institute, a national cosmetic laser and medical esthetic training center founded a decade ago. He also owns medical spas in Scottsdale and Dallas. He’s the author of Make It Happen Online and a motivational marketing speaker. Silberman created the sixth most visited health/beauty website and was a semi-finalist for the Ernst & Young Entrepreneur of the Year Award 2014. louis@nationallaserinstitute.com.